Preacher: Dr. Jon Fancher (11), RRPC Senior High Youth (1). "Responding When Reality Seems to Eclipse God's Plan"
Matthew 5:43-48 (Part of the 2017 - "Summer Memories: Scripture Verses Worth Remembering" series). 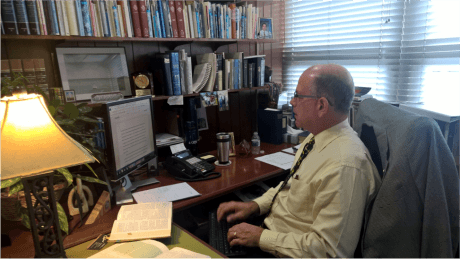 Preached by Dr. Jon Fancher on August 20, 2017 (Sunday Morning). Hebrews 10:22-25 (Part of the 2017 The Daniel Plan series). Preached by Dr. Jon Fancher on June 4, 2017 (Sunday Morning). Genesis 1:1-31 (Part of the 2017 Visitor Sermons series). Preached by RRPC Senior High Youth on April 30, 2017 (Sunday Morning). Psalm 119:33-48 (Part of the 2014 RRPC Sermons series). Preached by Dr. Jon Fancher on February 2, 2014 (Sunday Morning).